Collective labour relations are constructively managed on the principle of freedom of association. Employees may associate, or not, with representative organisations and trade unions. Trade unions sufficiently representative of employees are recognised at appropriate operational levels, and operations covered by industry agreements participate in relevant industry forums. There are no operations where the right to exercise freedom of association and collective bargaining is at significant risk. As the group represents leading global principals and suppliers, it is not aware of any suppliers where freedom of association and collective bargaining are at risk. Collective labour relations are constructively managed based on the principle of freedom of association. Employees may associate, or not, with representative organisations and trade unions. There are no operations where the right to exercise freedom of association and collective bargaining is at significant risk. There were no violations of freedom of association and collective bargaining during the year. 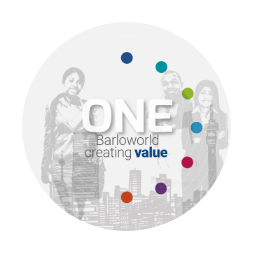 By representing leading global OEM’s and brands, Barloworld participates in supply chains that conform to norms and regulations and aspire to the highest standards. The group has not identified any significant suppliers or service providers, as material risks of violating such rights. If a non-conforming supplier was identified, appropriate action would be taken given the circumstances.